So easy and delicious, Penne Pasta with Basil Cream Red Sauce. Just one pot and you're done. 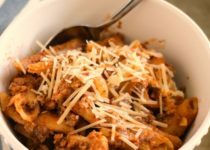 This recipe is filling and perfect for a weeknight when you don't have a lot of time or energy to get dinner on the table. The flavors work beautifully to deliver a soul satisfying bite that will bring everyone to the table. It also makes great leftovers to take to work. Pre heat the 10.5" Nutra Ease skillet for 3 minutes on medium high. Turn heat down to medium; add ground beef and cook until browned. Drain off any fat. Stir ground beef to ensure you don't have large chunks. Add chopped onion and minced garlic to the ground beef and cook until the onions are translucent. Add spaghetti sauce, water, pesto, penne pasta and half & half. Stir and put lid on and wait for the Nutra Valve to begin clicking. Once Nutra Valve begins clicking turn heat down until Nutra Valve stops clicking and cook for an additional 20 minutes or until sauce has thickened and pasta is done to al dente. 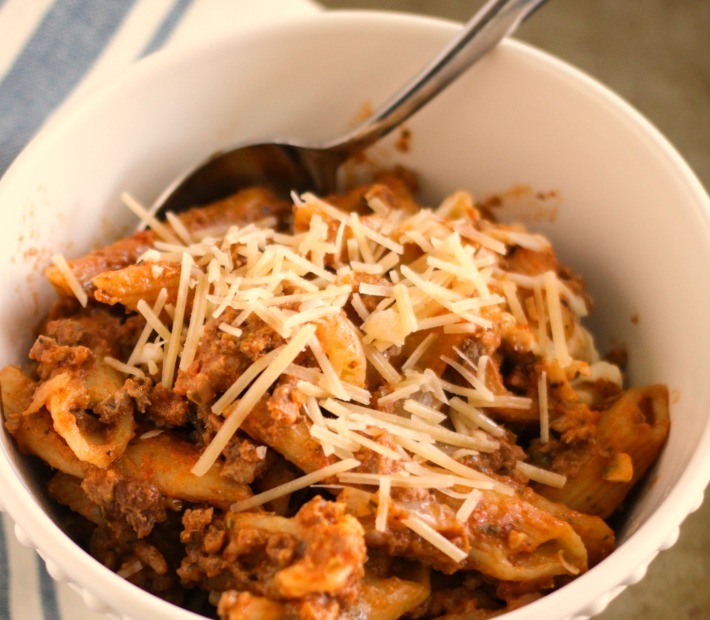 Stir a few times during cooking to make sure pasta isn't sticking to the bottom of the skillet. Remove skillet from heat and add the cheeses. Return lid and wait 10 minutes for cheese to melt. 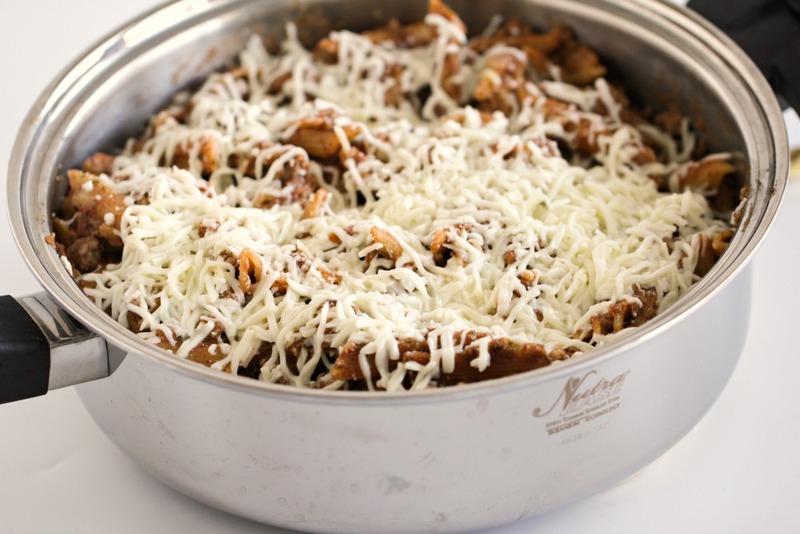 It's not necessary to return skillet to cook top to melt the cheese. Embrace the taste, experience the difference.